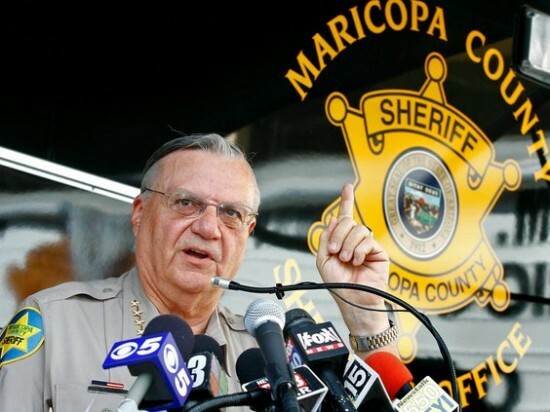 Last Thursday, the Obama Administration’s Justice Department announced it’s findings of a 3 year investigation of Sheriff Joe Arpaio & his Maricopa County department. The investigation actually began in 2008, under the compassionate conservative DOJ (Dept. of Justice) of the Bush administration. You remember the Bush DOJ. The guys that jailed the innocent border patrol agents, Compean & Ramos & ruined their lives. It’s not just the left illegal lovers but the right also. Compassionate Conservatives don’t cha know. Compassionate to everyone but conservatives. To date, the Sheriff has been investigated by Congress, the FBI and a Federal Grand Jury for civil rights violations and abuse of power. This must be one evil dude & yet, he still roams free. In response to the Obama DOJ’s findings, Arpaio said, “President Obama and the band of his merry men might as well erect their own pink neon sign at the Arizona-Mexico border saying ‘Welcome all illegals to your United States, our home is your home.” Joe has vowed to never resign or bow to the Feds pressure. The well-known conservative organization, ThinkProgress writes, “Maricopa County Sheriff Joe Arpaio is unquestionably the most notorious law enforcement official in the country, infamous for his ruthless and illegal treatment of the undocumented immigrants under his charge.” (For those who don’t know, I was kidding. Think Progress is as far left leaning as one can be without falling over). For years, Arpaio has been accused of discriminating against Latinos by targeting them during immigration raids, racial profiling & naughty words aimed at inmates. With the proximity to the Mexican border, Latinos make up over 95% of those moving drugs into the country through Maricopa County as well as over 95% of the illegal immigrants pouring across the border. They make up over 95% of all criminal activity in the area, but yet they are being unjustifiably profiled. So, let’s say 95% of all crimes in your city were committed by Martians. Would it make sense to question & detain Earthlings? Of course not. 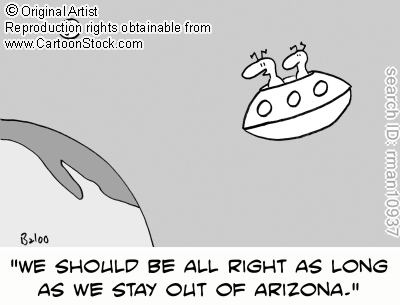 Good police work would dictate the detention & questioning of Martians, except, of course, if they’re Latino Martians. ThinkProgress further reports, “In response to the DOJ report, the Department of Homeland Security revoked Maricopa County jail officers’ authority to detain people on immigration charges, meaning they can’t continue to hold immigration violators who are not charged with local crimes. Arpaio said that would only lead to the release of jail inmates being held on immigration charges after committing previous offenses. Inmates could be transferred to federally controlled facilities instead of released, however.” Yes, I’m sure that’s what will happen. Rather, I think the inmates will be released, given welfare, tuition money & A NEW CAR, or whatever is behind curtain number 3. It is nice to hear the old “Undocumented Immigrant” card played again though, eh? They’re just people without papers. 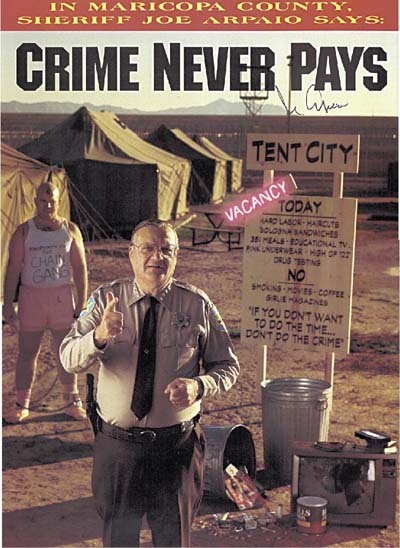 Over the years, Arpaio & his police force have been hit with over 2700 lawsuits. Isn’t it odd that all of them have been civil suits. With all this supposed abuse & criminal activity, you would think he would be in jail himself, but no. In a criminal trial, the plaintiff actually has to prove his or her claim. The old saying, “You can sue someone for a ham sandwich”, is alive and well these days. Civil suits only require an unscrupulous plaintiff, a dirtbag lawyer and a hack judge. Oh, by the way, Arpaio is an elected official, not appointed. He’s been the elected sheriff since 1993. If he is that much the monster, why does he win reelection time after time? Oh yeah, everyone who votes for him is a racist. I almost forgot. I’m sure it’s pure coincidence these findings are being released now. 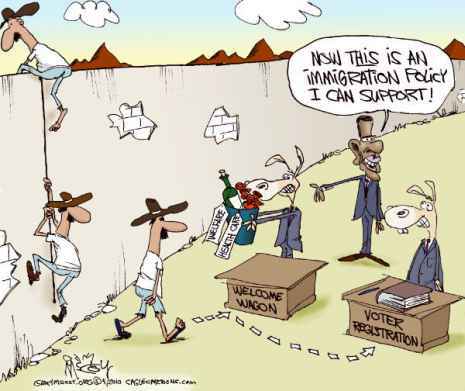 See, Sheriff Joe has, for a while now, been investigating the Obama birth certificate legitimacy issue. I don’t have an opinion one way or the other, but the Sheriff thinks there’s something to it & no doubt Obama wants to put a stop to it. Investigations & threatening are good ways to pressure someone to bend to your will. Arpaio, though, will not play ball with the Feds. If he goes down, it will be swinging.